This is so wonderful — thank you Teen Vogue. It’s amazing what late night Googling of your own name can yield. 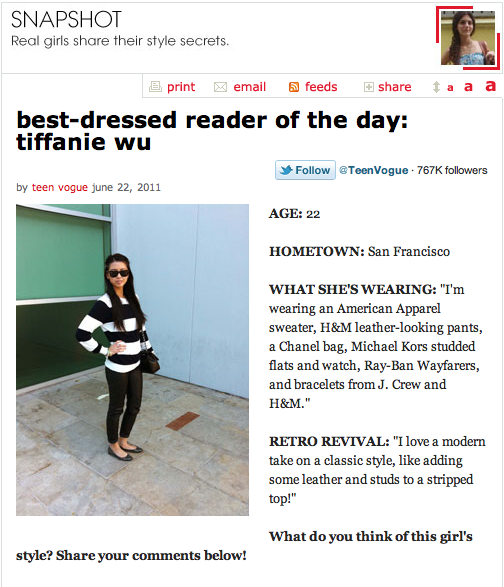 See the post at the Teen Vogue website here and see my original blog post for the outfit here. What a great way to end my day!